Kiosk style enclosures for large format screens in floor-fixed and free standing version. 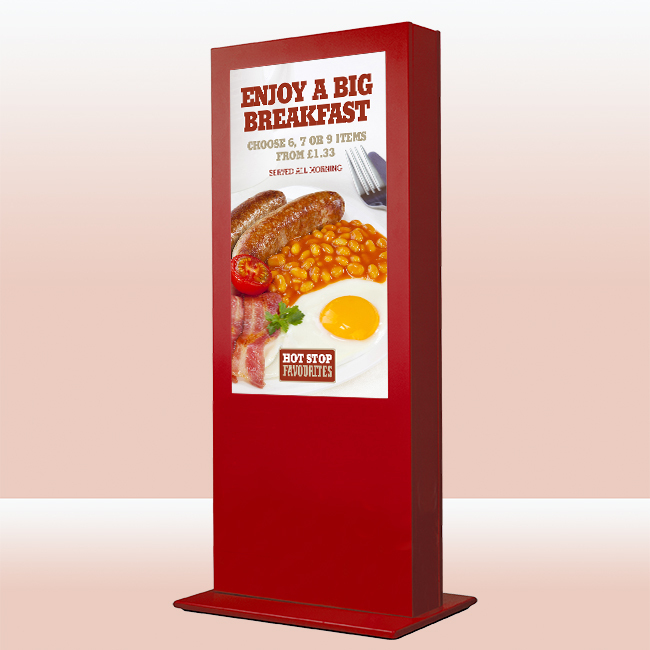 Ideal for indoor digital signage applications. 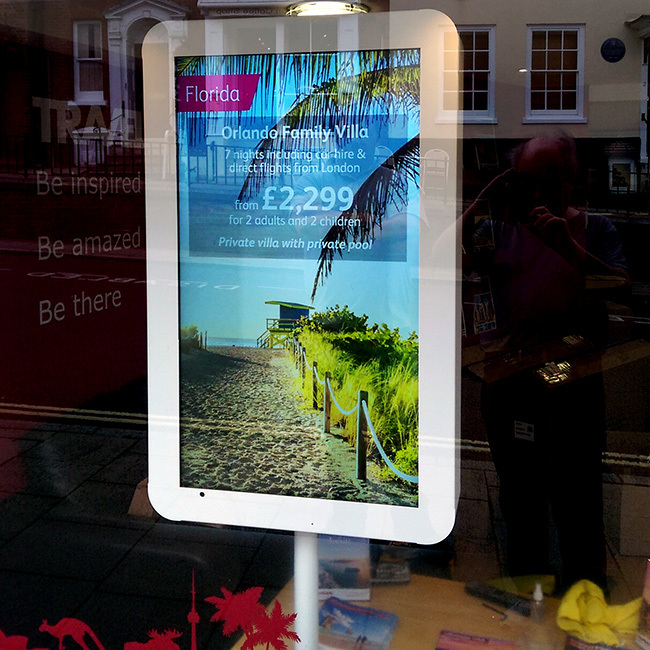 Sleek digital signage kiosks designed to make an impact with its audience. Whether it’s advertising, a digital directory, or way finding, this solution is an ideal fit for a hotel lobby, corporate campus, college/university campus, hospital, shopping mall and more. 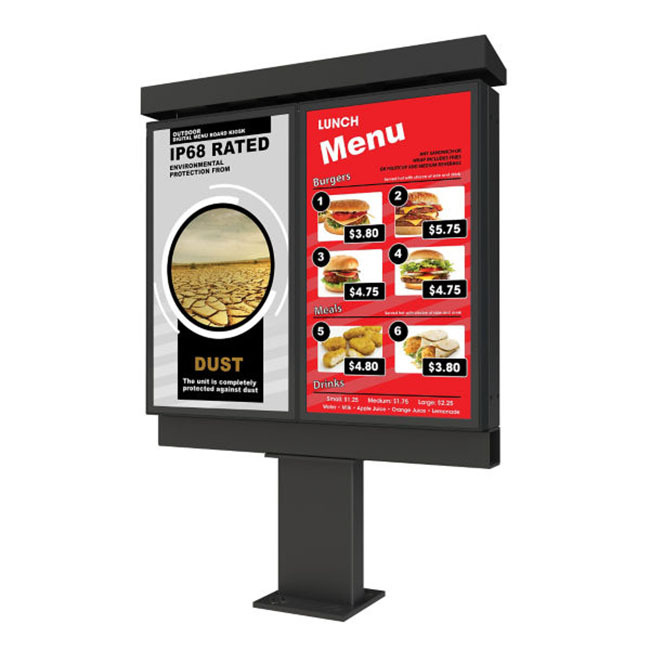 Replace static menu board signage with digital signage at the drive-thru. This fully-sealed weatherproof display has thermal management systems and an ambient lighting sensor that ensures your content is being displayed without any unwanted interruptions. 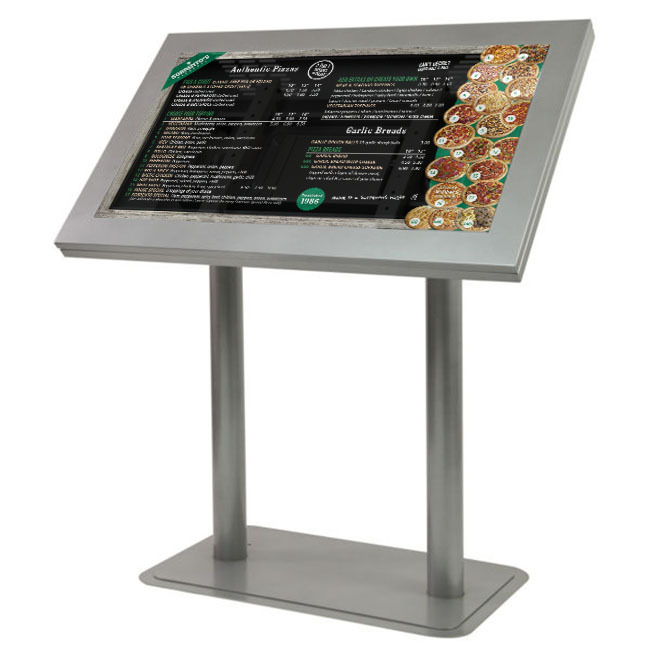 The menu board can also be used in many drive-thru settings, including banks and pharmacies. 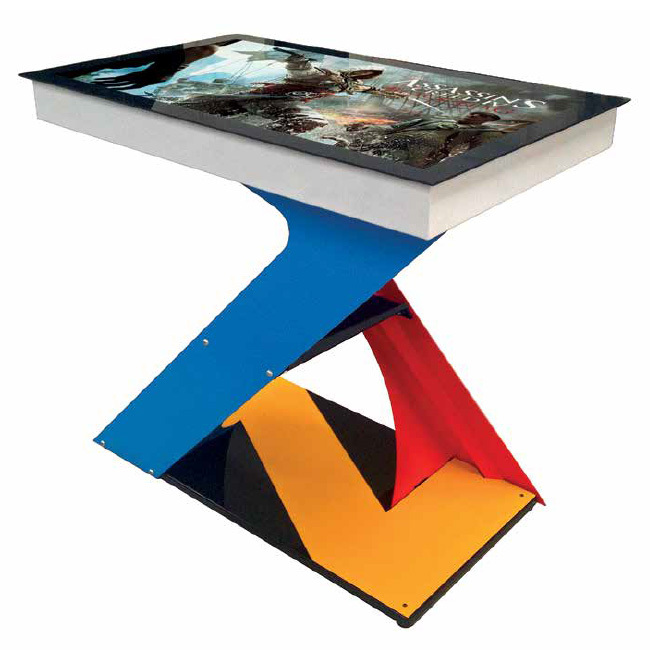 A table top display. The table top is a receptacle for another innovative creation, the touch screen cassette. This housing has toughened glass fixed to the top surface with the display secured inside on tool-less adjusters. Thus because through-glass touch technology is built into the glass top, the display does not have to be a touch screen, making maintenance easier and the supply of display more cost effective.